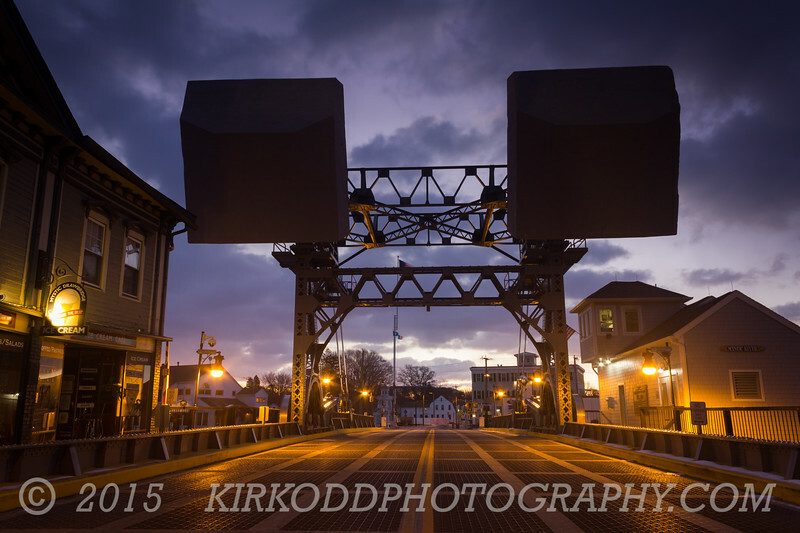 In the pre-dawn, the historic Mystic drawbridge stands as a dark silhouette against the cool sky. The Mystic Drawbridge is a historic drawbridge that spans the Mystic River in downtown Mystic, CT. Built in 1920 by the J.E. FitzGerald Construction Company of New London, CT, this bridge is a historic landmark and a centerpiece of the Mystic community.